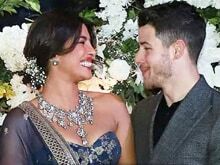 Priyanka Chopra, who made her television debut this year with American TV series Quantico, said that she is an Indian actor before anything else and loves Hindi movies. "I am doing Hindi movies back-to-back. It is hard to balance two careers in two continents. That means a lot of flights and less sleep. But I want it all. I like my own path," Priyanka told NDTV.